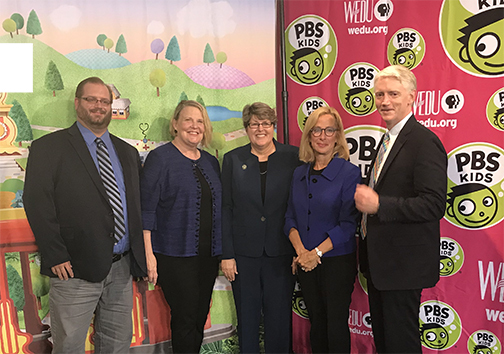 Mindy Stevens, Director at CARD-USF, moderated a panel discussion for WEDU Public Media at the Glazer Children's Museum concerning the impact of PBS shows and others for children with autism. Panelists included Paul Siefken, President and CEO at The Fred Rogers Company, Sandra Sheppard, WNET, Director and Executive Producer of Children's and Educational Media, Dr. Wesley Dotson, Director of the Autism Education and Research at Texas Tech University and Dr. Sylvia Diehl, retired USF Communication Sciences. A big thanks to WEDU, the Glazer Children's Museum and the audience who attended the filming. The TV air date is coming soon.